If there's one thing I'm a sucker for, it's kitchen gadgets. However, most of the time I can talk myself out of them. We don't have a large kitchen or a ton of storage space, so usually Chase gives me the look (ladies, you know the look. the "do you reeeeeally need that?" look. it hurts sometimes) and I put it back and grin. Last year I pinned a special macaron pan. I had just gotten into baking these time consuming & tedious, yet delicious, delights and I thought it would be perfect. I couldn't justify the $50 though. 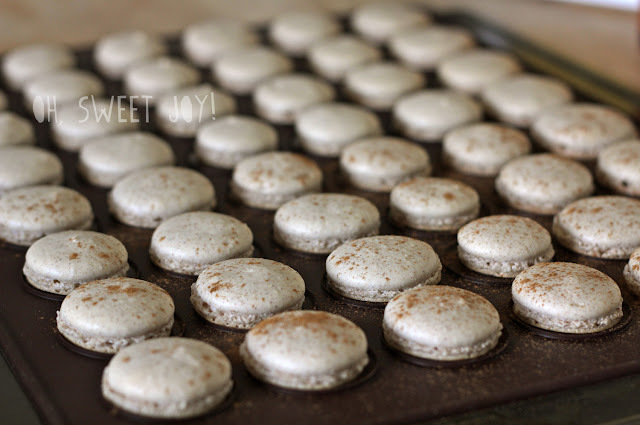 Fast forward a year...I've had countless imperfect batches of macarons. Half of them crack. Some of them don't have the "feet" I'm looking for. A lot of them are hollow. They always taste delicious, but I've never had a successful batch in it's entirety. I'm hosting a Christmas cookie swap in a few weeks and I thought it'd be extra special to make macarons...but then the thought of my countless imperfect batches came up. I found this kit at Sur La Table and thought I'd give it a try. It was about $40, but it came with more recipes (um, but they're in a foreign language. cool. ), a really great silicone mat, and an awesome batter squeezer outer. That's not the technical term, obviously...but you scoop in the batter on the side and close it up, then pipe the batter out. It's pretty much amazing and WAY less messy & frustrating than a piping bag. 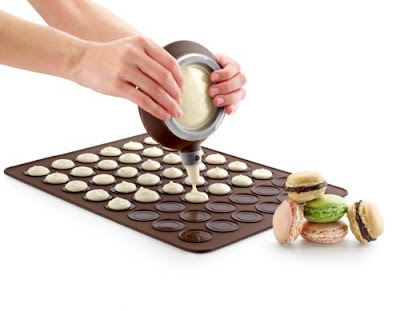 Now, there are many tedious steps that lead to perfect macarons that I feel like I've finally perfected (aging the egg whites, perfectly blending the dry ingredients, fresh almond meal, folding the batter perfectly, baking time & temps, etc), but if you're looking for a kit to revolutionize your macaron baking, this one is worth the money. This was my first batch made with the kit. Recipe coming soon! 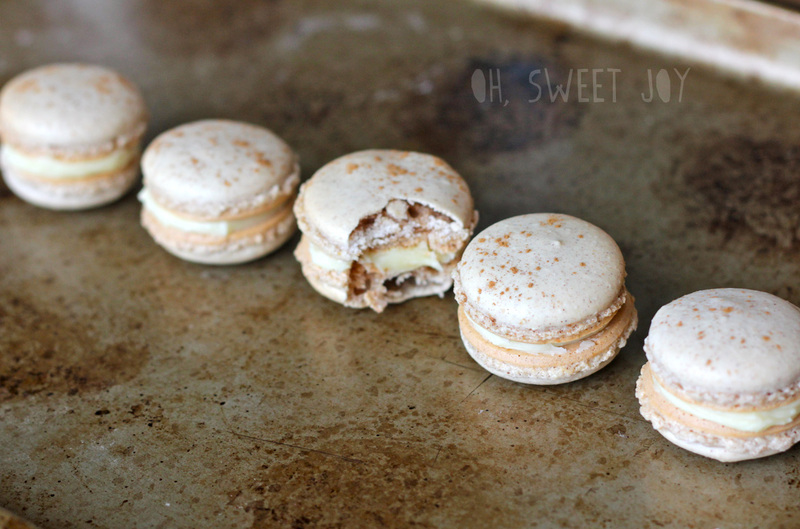 They were the first batch that I felt I could deem "perfect" and oh man are they delicious! Wow, they are beautiful! They really are perfect looking. And to think, I still don't know what they taste like!